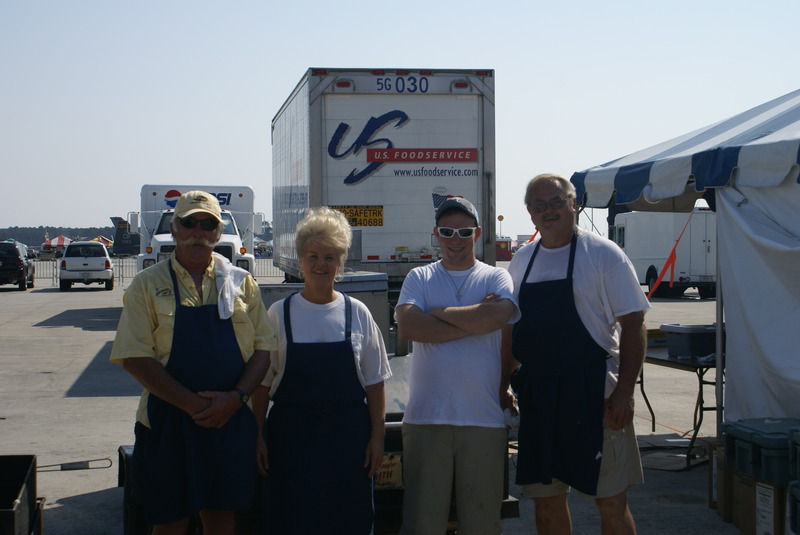 Sam, Tammy, Tony and Clyde the catering team at the 2009 Cherry Point Air Show. 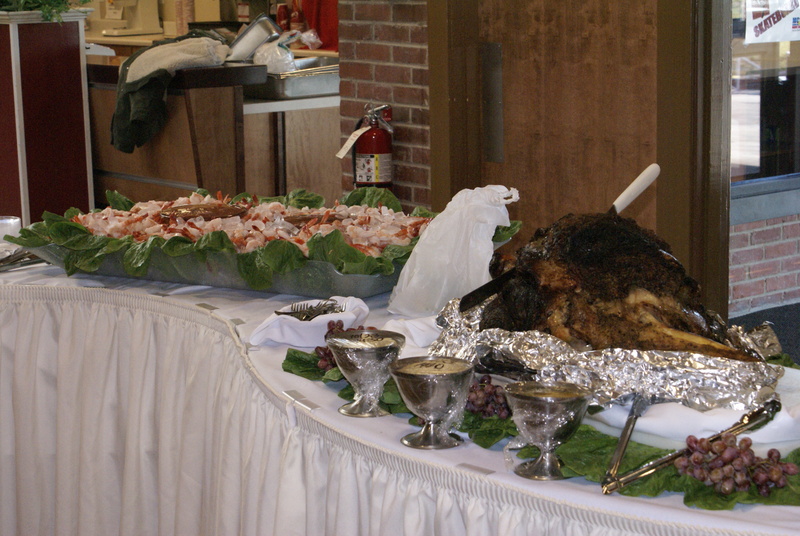 We fed 1500 people, a lot of chicken and pork. Ya'll Come on back for a little pig picking now ya here. Serving the Steam Ship Round. 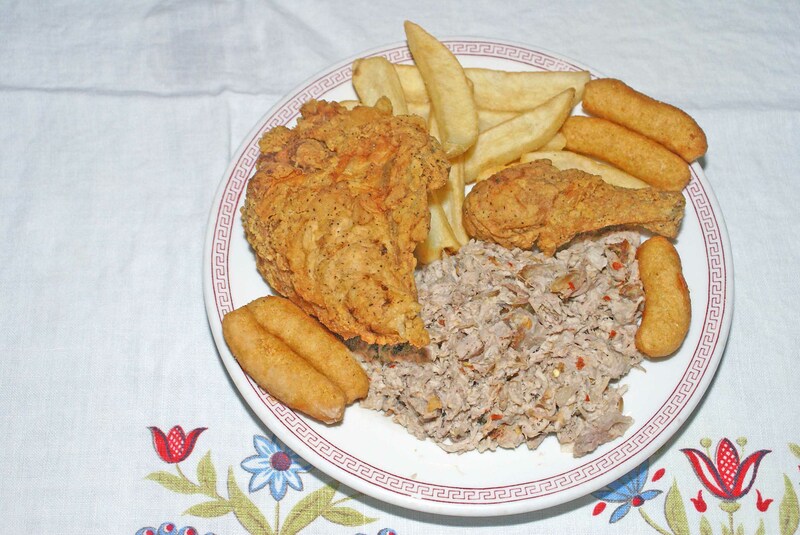 Simple the best fried Chicken around. There is nothing else to say. 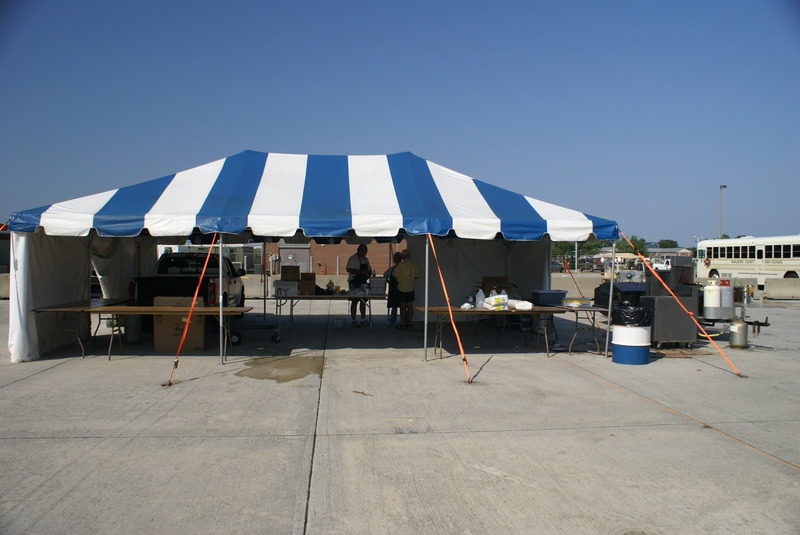 Our Kitchen tent at the 2009 Cherry Point Air Show.